We just wanted to drop you a note to let you know what has been happening since last time we blogged! MicheleandKen Cole - As I was typing your names I heard the phrase "stay the course" and felt to go look it up on wikipedia: "Stay the course" is a phrase used in the context of a war or battle meaning to pursue a goal regardless of any obstacles or criticism. The crooked ways are being made straight, the high places low, the low places high. He is making the path plain to you and you will not stumble or falter. Just as His eye is on the sparrow, it is on YOU! He says what He means and means what He says! Don't second guess... you've got it! ... and He's got YOU! Blessings! Today, we are at our church using the wifi and we were chatting with our pastor. At the end of the chat, he just happened to say "stay the course". Cool! The Lord is giving you revelations as you deeply meditate in His Word. I see the joy of the Lord in you... joy that spreads to others. New areas of ministry for you. I saw a child standing with you. I see presents flying out of the sky to you ! God has much to give you. The difficulty you are experiencing now is only for a short time. Just rest in Him. MicheleandKen Cole, I'm hearing stand still and watch me work things out for you. Casting all your cares on me. Trust that, I will handle everything in my timing. I am the Lord. If , I said it, I will make it good. My promises are Yea and Amen. Never forget that, I see your life from beginning to end says the Lord. Also you want be disappointed. My love is toward you. I pray this speaks to you. MicheleandKenCole I see you ground breaking in your life. It's not the ground you are thinking but a new fresh rewarding ground. The Father is pleased with you . Many years you have obeyed His word even when it looked insane. For that you have been chosen to receive more. He is a saying come higher with Him..let go of the weights that so easily entangle you. Come soar like an eagle in the clear blue sky. MicheleandKen Cole, the day has come to hold hands and march forward. Yellow lights on the right, red light on the left, and I see a magnificent purple light beaming from the middle. You two are walking on sandy path towards this magnificent purple beauty. Purple is royalty colors. You are seated in Heavenly places. I keep hearing "take your seat". I see this to mean there may be hesitation to feel secure in the position of authority He has given you but no need. It is time to walk in freedom of what He has before you. 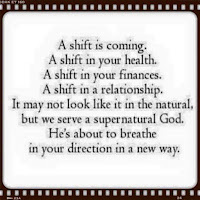 There are so many prophetic words out there saying that September is the month we are going to see shifts - shifts in health, finances and more. Some of these resonate with what we feel the Lord is saying to us in our quiet time and also lines up with some of what is happening in the natural. For instance, our lease on our rental is up September 30th. We had dinner with the sellers of the property we feel God is leading us to and they said that they plan to take house and property off the market September 30th and they won't be selling. (now that may change now that they know our full God story - and they are very much interested in being part of it - as he is a general contractor. He has offered to help us design, develop & build the retreat property/ministry building - as little or as much involvement as we want. - that in itself is a huge God ordained thing). Earlier this year, I felt the Lord say, August was a month of suddenlies. It sure has been. So much forward momentum and yet we still must wait on God for His timing and His provision. God has been definitely involved lining things up, creating divine appointment and connections this last couple weeks of August. Exciting, scary and a bit stir crazy at the anticipation of how God is going to pull this off! We don't know the "how" or the "when" but feel it's getting close!!!! We are asking for those that are praying and standing and believing with us to please please continue!! Here are a few specific prayer points! 1. Pray for continued divine appointments & connections. 2. 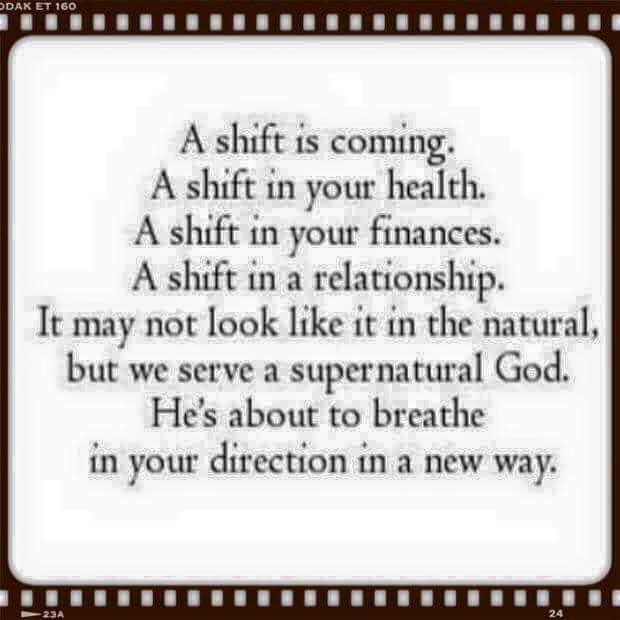 Pray for my health (believing that is going to shift to divine healing soon - I'm ready). 3. Pray for God's perfect timing and provision for vision! (we continue to hear, it's coming). 4. Pray that our new board of directors will work well together and be in alignment with the vision God is giving us! 5. Pray for everyday provision as well... Ken's job still only part time, minimum wage and when this gets launched full steam, he will need to be full time at the retreat property. f you have been blessed by this ministry or feel led to support what God is doing through us - financially, below are a few options. Your generosity and your prayer support is greatly appreciated and needed as we continue to walk in faith and God's calling. 1. https://www.hhmin.org/make_donation_projects.php, select Hardship Project, then use drop down box Michele Cole. SOON we will have our own 501c3 and will be able to take donations that way! Has God spoken a promise to you that hasn't come to pass yet? Has He given you a glimpse of what your purpose, call and destiny looks like but yet it's still unattainable? Has He told you time and time again, He would heal your ailing body? Or restore your finances, your marriage, a broken relationship or even that your child would come into His family? Does it seem like the wait goes on and on? Do you wonder if these things will ever come to pass? If you're like me and many others, those answers are probably all yes. Do you feel like those in Hebrews 11? You've persevered and persevered and yet still no manifestation in the natural of the promises. 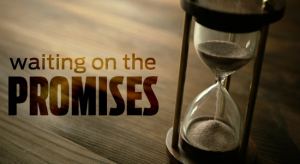 You might start to believe that those promises are not going to be seen in your lifetime. Are we to sit idly by waiting? Is there anything we can do? I believe the Lord wants us to be actively involved in the manifestation of the promises! I believe He wants us to get our thoughts and actions to align with His will which is in His Word! I believe we are fighting a battle against principalities and powers of darkness (Ephesians 6) and we must put on the full armor of God and go to war!!! If God is for us, who can be against us (Romans 8:31)? Faith is believing things unseen! Take the unseen promises and believe God for them. Ask, believe & receive - Mark 11:24. Begin to ask God to manifest the promises He has spoken to you. Get two ore more friends to come in agreement with you (Matthew 18:19). Believe that He will bring them to pass - do this by praising Him, thanking Him for them even know you don't quite see them yet. Receive the blessing! Is there something you're still holding on to that you need to let go of in order to receive? Sometimes are hands are full and that doesn't put us in a receiving posture? Prophetic Word: I believe the Lord is saying now is the time for those promises to be fulfilled. It's time for My people to shift into place. I am sending provision, I am sending healing, I am sending all that you have need of to step into the purpose, call and destiny I have for you. It is not a time to have doubt, unbelief or fear. It's time to arise and shine like never before. Though the days ahead may seem dark, it is My light shining in you that will bring a change in the atmosphere. You will see many signs and wonders in order to bring the harvest in. Continue to abide in My Word. As you spend time with Me, I will give you guidance, direction and wisdom for the days ahead. Seek Me first. I will tell you this is the way, walk in it. My Glory and My Name will be known! It's been a year and half since the Lord moved us from Overland Park to where we are now. It's taken that long to acclimate me to country living (Ha!). God has given us a vision for a property here to build a retreat center, ministry & equipping center. We are taking a second look on Friday, but feel this is the one. We are believing God for the provision for this vision. God has sent us a couple of people to help with project management, people who can help organize our thoughts, the vision and make it into something presentable. Our hope and prayer is that the provision to purchase the property will come immediately and the rest thereafter. There is so much that we need to do and residing on the property would make things much more efficient. We covet your prayers - for immediate provision! If you would like to be involved somehow, please let us know. Michele's health is improving! I'm speaking it into existence. The Lord has given me dreams and several other confirmations it's coming! Yippee! I am finally getting some much needed sleep. I am anxiously awaiting the manifestation of energy, no pain & complete healing!! Ken is still working part time at Dollar General. His hours did increase to 35 for a few weeks but have now dropped back down to 20 or so. We are continuing to trust God. Please keep Ken in prayer as this job is a bit hard on him physically. He continues to apply & reapply at every opportunity he hears of, but this job he has is the only door God has opened. We continue to lead a home group and are blessed with what God is doing. We love our church and all we are meeting there. We are still connecting & using our hospitality gift of cooking with people at least once a week and ministering to them as the Lord leads.